With ramen shops popping up like mushrooms, it’s been fierce competition. I have already tried Bone Daddies and Tonkotsu in the area. 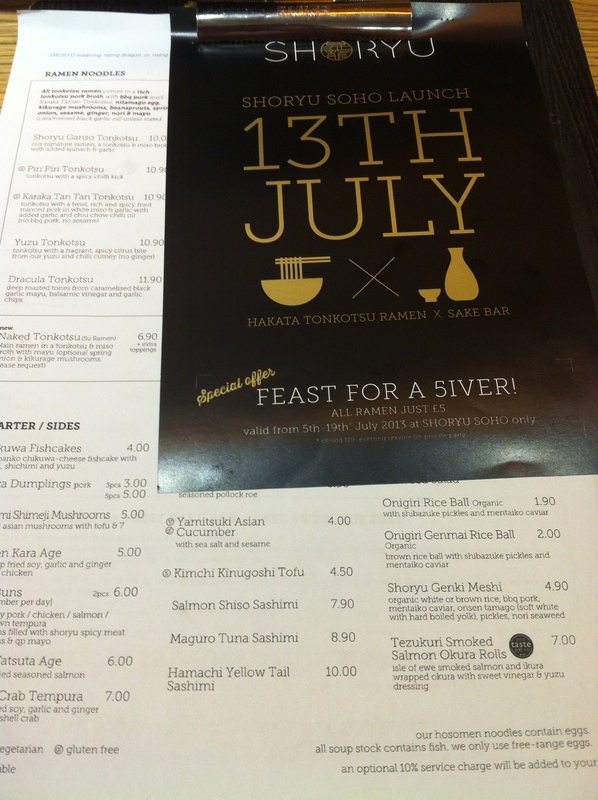 Shoryu opened up its second branch along Soho, Denmark Street with a special offer for £5 on all ramen during July. Of course I couldn’t miss the opportunity to slurp on some soup noodle goodness. First up, as there was special offer, the queue filled the entire street like bees glued to the hive. Waiting around we realised by the time we be seated, we be rushed and kicked out in no time. I even tweeted the social media person taking care of their Twitter. He pleaded that good things will come to those who wait. My patience was running low and my suggestion to leg it to Regent Street branch was a wise choice. After a short wait, we stared endless at the menu. I wished I did my research on other blogs beforehand I hear “Dracula Tonkotsu” is simply irresistible. I went for the heart calling with Hokkaido Curry Ramen. Hirata Buns have been hitting the scene, they just too good to resist. 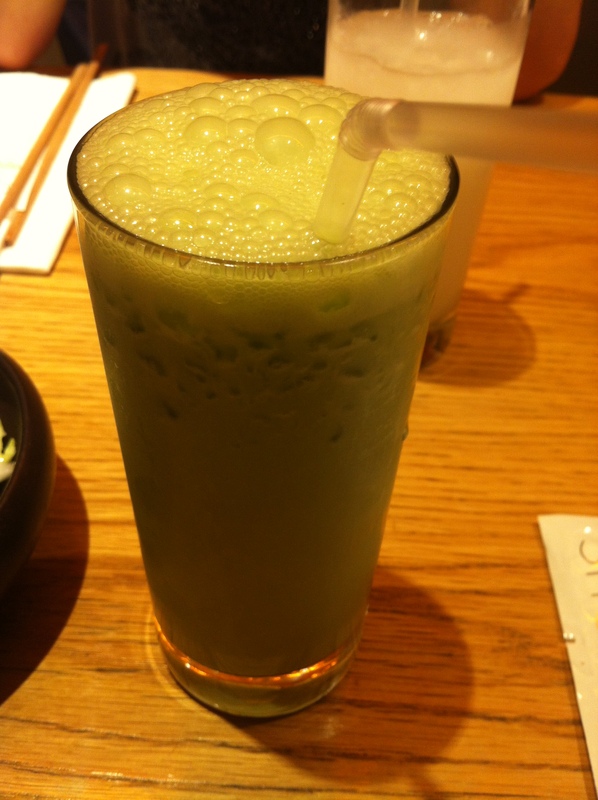 We ordered the pork belly for appetisers and I had Matcha Green tea Ice cream smoothie. Ummm the Hokkaido Curry Ramen finally came out, the cloudy brown yellow broth, the crispy karage chicken floating on top like logs. One piece of naruto fish cake and a bunch of spring onions swept to the side of the bowl, a sheet of nori neatly placed at one side to finish the presentation. 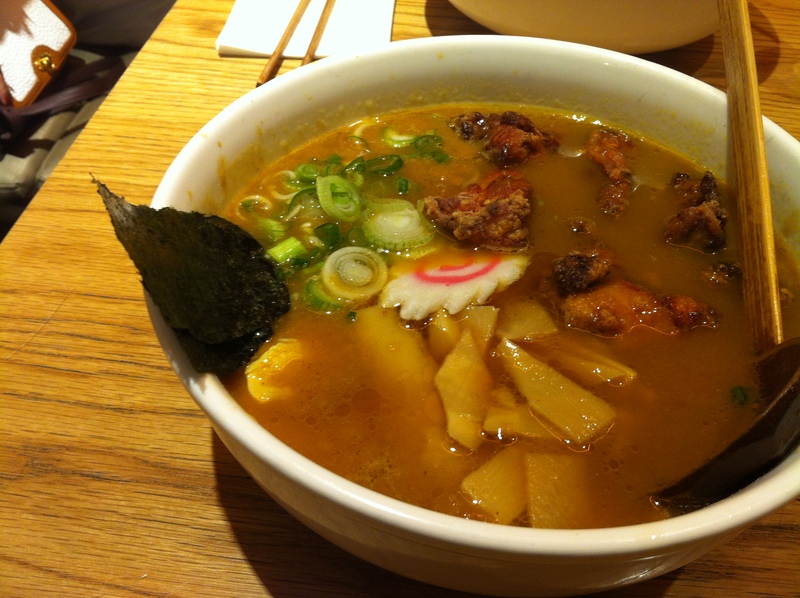 The broth had a hearty immense pork flavour and had strong taste of curry. Rich and creamy it could have turned into gravy. The noodles firm and springy were easy to chew into pieces. 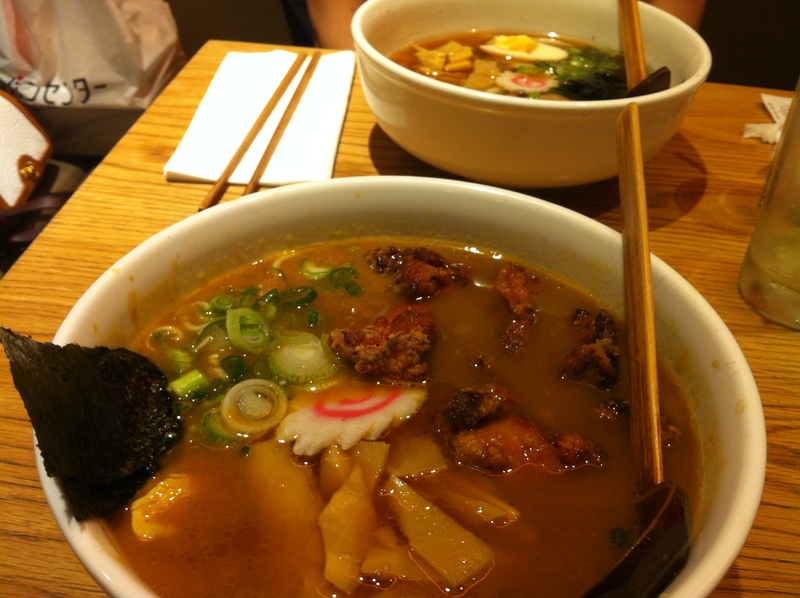 Although Shoryu ramen, is supposed to specialise in ramen. The dish that got me wanting more was the hirata buns. Wow, having eating at Flesh and Buns and street stalls this has to be the top current favourite bun. 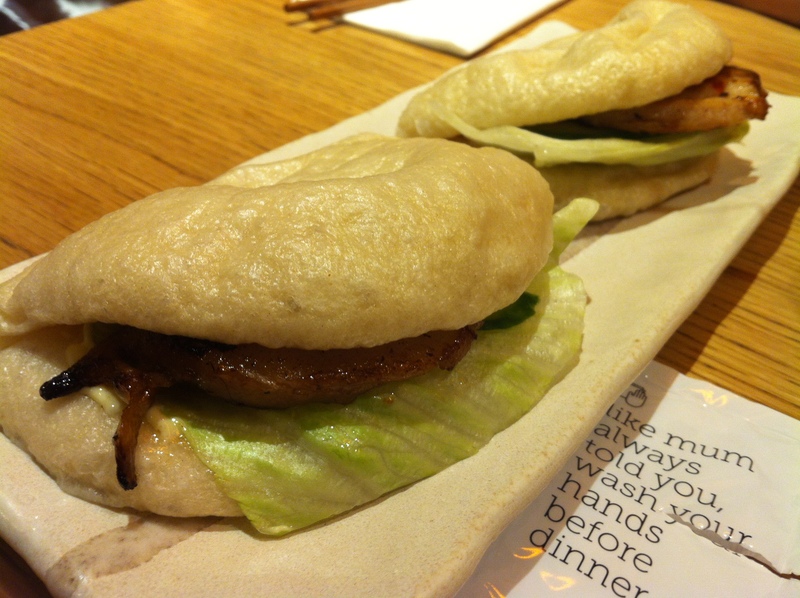 The bouncy fluffy pillow buns, with a slice of belly pork and lettuce slid inside. The lettuce fresh, crunchy, paired well with juicy tender pork. 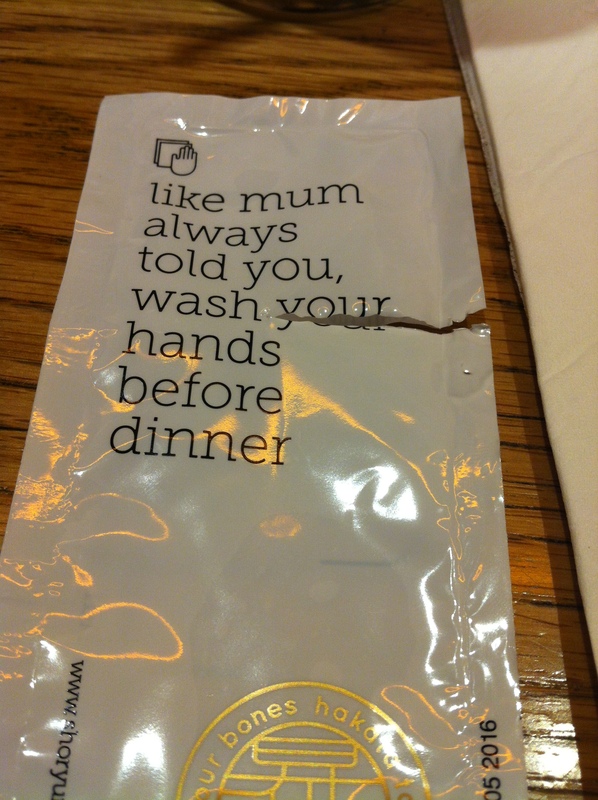 The finishing touch was the distinctive QP Japanese mayo. 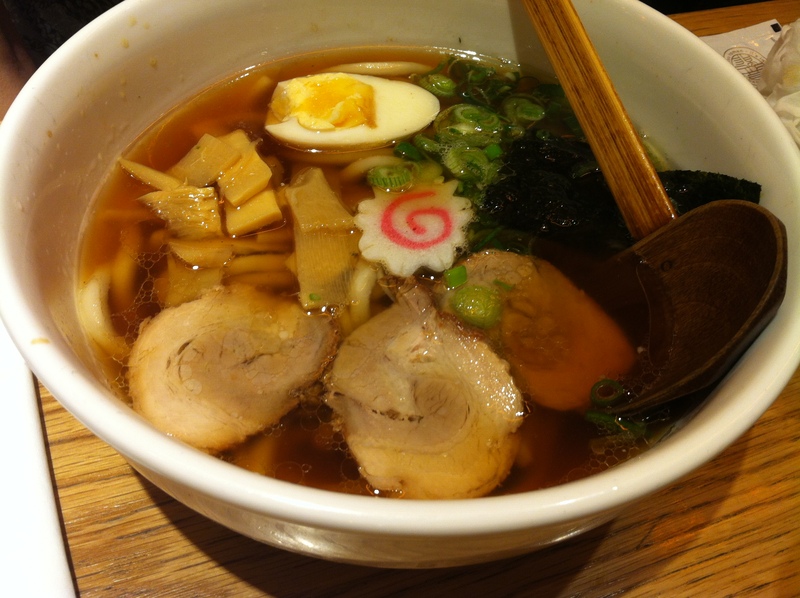 So, there you have it, good reasonable tasty ramen and lush hirata buns. Another cheap eats in London for you.